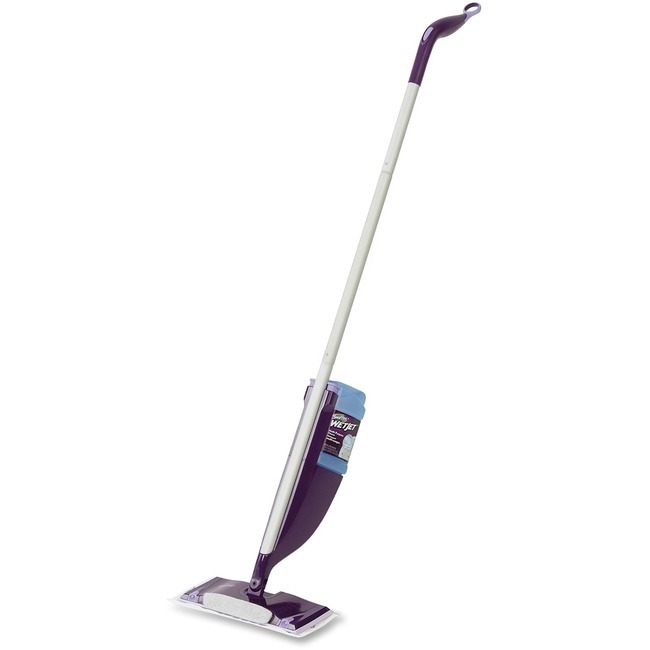 Swiffer WetJet cleans better to reveal more shine than a traditional floor mop and bucket. Floor cleaner solutions are specially formulated to break up and dissolve tough messes, lifting them off the floor so the thick pad can trap and lock them away. With dual-nozzle sprayer and a strong-grip pole, this bucketless mopping system also features a powerful scrubby strip for breaking apart tough, dried-on spots and messes.